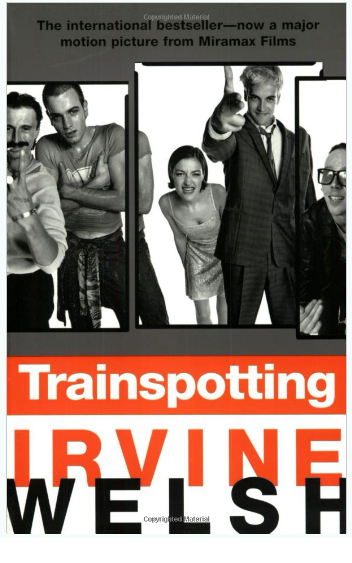 Based on the novel by Scottish writer Irvine Welsh (who also wrote “The Acid House”), the book meanders in and around of the lives of the post-punk, no-future generation of unemployed Edinburgh youths enmeshed in heroine addiction, not unlike many in our other favourite post-colonial city, Dublin. For all the hype, though, it grossed $15 million, more than any other Scottish film. Made by director Danny Boyle, screenwriter John Hodge and producer Andrew McDonald (who made “Shallow Grave”, released last year), it deals with heroine addiction, AIDS, unemployment and poverty. But it also delivers a full-blast infusion of the lust for life that any gang of twenty-somethings will have in any city. Taking no prisoners, it’s an honest, brilliant and devastating take on a very real part of urban life, managing to deliver that world faithfully – with all its gallows humor and its highs and lows. If the book is one of the best ever penned about about heroine addiction, the film follows suit. Because while anybody watching the film will work out that heroine is an evil that consumes its victims continuously and relentlessly, you see that the characters, to put it in their own words, “aren’t stupid” – they do it because of the sheer pleasure. They have fun, they are rebels, they care nothing for the society that has provided them with nothing, they run around committing small-time robberies, organizing scams and petty deals to fund their habits, and they do their drugs. Addiction is set out on the screen with no frills, no excuses. It’s comparable in grit to Gus Van Sant’s “Drugstore Cowboy”, although for sheer scatological detail “Trainspotting” is more harrowing. Renton, Spud, Sick Boy, Begby and the others know no pain when they are on smack, they have no everyday worries, no bills, no problems, no rent, no emotional hassles – everything in their lives is solved and sugared by this incredible substance. And yet everything in their lives is at the same time reduced to a vile lowest common denominator, as when one squat mate’s baby dies of neglect in its cot, and all the mother can think of doing is banging up another hit of smack. Or when Tommy, the only one in the crowd who remained outside the game, finally joins in and falls faster than any of them. 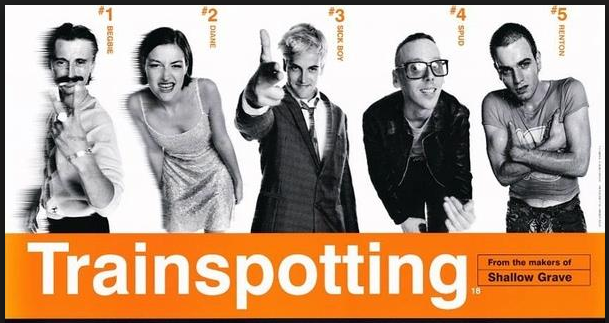 The controversy surrounding “Trainspotting” in England and Ireland is centred on whether this film “glorifies” drugs. This is fairly typical of the Irish and British authorities, who seem to get more worked up about peripherals than actually getting down and dealing with the everyday challenges of their gang-strangled streets. Recently the Irish government sent 500 of their policemen up to the Northern Ireland border to save the Republic from the illegal crossings of potentially “mad” cows, while journalist Veronica Guerin was gunned to bits in Dublin city by drug lords. With an estimated 10,000 heroine addicts in Dublin alone, how worrying can one film about drugs be? Take “Trainspotting” as you like. See it to get a bloody hard look at a problem that is widespread in Irish and Scottish society today. See it for its spectacularly stylish cinematic qualities or its fabulous soundtrack. See it for Ewan McGregor’s grin, for Spud’s glasses, for Kelly McDonald’s demented school uniform, see it to have a good laugh – or see it and weep. But see it.